Home>New Mixtapes>T-Pain Mixtapes> T-Pain Unloads From The Vault With "Everything Must Go (Vol. 2)"
T-Pain has been giving back to his fans recently. Before he releases new music, he's promised to empty the vault with all of his unreleased music, coming through with the second batch of tracks today. Of course, he would be marketing this incorrectly if he just dropped hundreds of tracks at once so Pain is stretching out the releases, dropping the second volume of Everything Must Go today. The first instalment came in August and today, Teddy Penderazdoun comes through with 12 more unreleased songs. The songs include features from Severe, Bow Wow and MJG. Much like the first batch, Everything Must Go (Vol. 2) is laced with some of the Florida artist's signature autotune. It's crazy to think how much heat might be stashed away from his home studio sessions. Considering how hype some of these tracks are, we're getting pretty excited for whatever T-Pain has planned next. 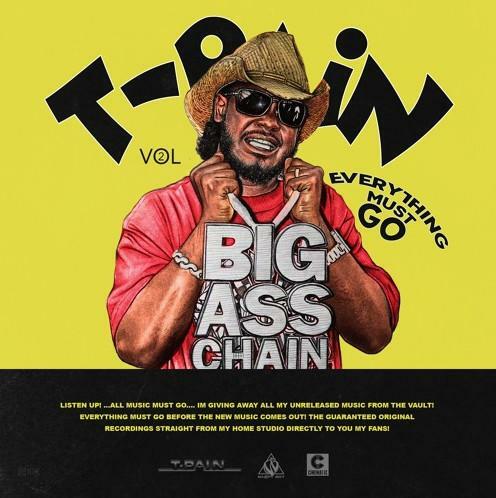 MIXTAPES T-Pain Unloads From The Vault With "Everything Must Go (Vol. 2)"